Introducing Joanna Tindle, your Area Specialist in Real Estate. Joanna is passionate about property, whether you are looking to buy or sell she has your best interests at heart. Joanna has recently moved to the Kapiti Coast with her husband and 3 boys, Riley, Lochie and Ollie. In her spare time she is helping her husband work around their lifestyle block in Peka Peka and helping to manage their Building Business. Joanna is a highly motivated individual who you can trust to deliver the best desired outcome for you when selling your home. "After 16 years in the Banking Industry, I have decided to pursue my passion in Real Estate. My goal is to help my clients get into their dream home. For most people, their home is their biggest asset. I understand that people want to do business with someone that they can trust and when it comes to buying or selling their home, I have my clients' best interests at heart. You can be confident that I will make the best decisions for you and your family." "I pride myself on giving my clients exceptional customer service, your needs are important to me and I am here to help you get what you want." A valuable addition to the Waikanae Team, Paul is the consummate sales professional in a field he has thrived in for the past 20 years. A genuine people person, Paul’s easy going nature combined with his attention to detail and willingness to listen means his clients are in the best possible hands. Loyalty, honesty and integrity are all qualities Paul possesses to ensure his clients receive a service which is stress and complication free. Having lived in Waikanae for over 30 years, Paul has a true passion for the Kapiti Coast. A keen family man, Paul has developed strong connections in the community and enjoys his involvement in various clubs and organisations. Outside of work, Paul and his wife are enjoying bringing their two children up in the wonderful Waikanae environment that Paul enjoyed growing up in. An outdoors person by nature, Paul is known to be fishing or chasing a golf ball around one of the Kapiti Coasts great golf courses when time allows. If you are looking to make a real estate decision and want a hard working Sales Consultant with a positive attitude, make Paul your first port of call. A long time resident of Waikanae, Paul joined the Waikanae Harcourts team in 2001. Previously he owned and managed a successful business for more than 20 years, providing services in the television industry. With his wealth of knowledge in the Waikanae real estate market and many millions of dollars in settled sales, Paul’s ability to negotiate and close a sale is second to none. He is strongly committed to providing exceptional service alongside the options and tools Harcourts has to offer. Trust your real estate needs with Paul and be assured that you are in very capable hands. Ray is the Number One sales person for our Company and the Wellington Region and a consistent member of the elite Top 20 of Harcourt's Group. Ray's previous management experience was in the Heavy Motor Trade Industry. 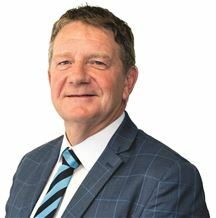 His leadership, enthusiasm and knowledge is the spearhead of the Waikanae office Ray's vast knowledge of the Waikanae Real Estate market provides a huge bonus to his clients and his Sales Consultants. They also benefit from his exceptional negotiating skills. In return, Ray receives repeat business and a large number of referrals from satisfied clients. They also benefit from his exceptional negotiating skills. Ray and his family are committed Waikanae residents. A vibrant personality, combined with a natural talent for clear communication, backed by incredible motivation and enthusiasm accurately describes Sue’s qualities. Having travelled extensively Sue has gained a wide raft of both life and business expertise and experience. With a background in the financial sector and a passion for the food and the hospitality business, Sue has utilised her skills and knowledge throughout a number of countries and cultures over several years. Having settled in Waikanae Beach over 15 years ago, Sue really enjoys the lifestyle the Kapiti Coast has to offer, a special place also to bring up her three children. Totally immersing herself in the local community, Sue pursues a variety of interests and hobbies including involvement with the local school, Junior Rugby Club, book club, gardening and following her dream and passion of interior design and anything Retro! Sue prides herself on being totally organised, knowing the importance of attention to detail. Also listening to clients’ needs and working closely with them is vital, and something Sue is passionate about. Sue brings to the Real Estate profession in Waikanae a fresh approach, loving what she does and helping people with their “Real Estate Journey” are key factors that shine through when you spend time with her. Sue quickly establishes a rapport with clients and buyers alike, and you can have confidence of Sue’s ability to provide solutions and results to all your property requirements. Trina is a high energy person, who is fun loving but also driven to succeed. She is committed to producing the very best outcome for her property owners. Trina likes to ensure that all of the details are taken care of, so that your real estate experience is stress free. Trina and her partner Gregg have a small farm in Reikorangi. They really enjoy raising three girls, Elle, Moneka and Rebecca in a rural environment with all it has to offer. When Trina is not listing and selling real estate, she enjoys breaking in horses and playing and coaching Hockey. "Pristine And Hard To Fault"
If It's Value You Want..